Nice and light weight and strong. It seemed to fit a little extra snug on my fork but not a big deal. Add the handle bars and you got a great dampening affect. i bought this stem for my bmc road bike and for my scott mtb. it is 1 of the best stems out there. it looks great, is super durable, and 1 of the lightest stems on the market. I got the last one at the shop! I wanted to thank these guys for giving me a great deal on this stem since it was the last one and there was no packaging. I didn't even have to ask. Seriously you should never need to buy elsewhere. This stem is incredibly light, really stiff and I really great looking on the bike. 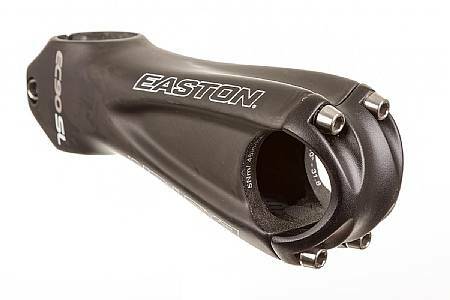 Definitely cuts out a bit of the vibration and I recommend this stem to anyone looking to upgrade. My best add-on in the past 5 years! I held out on getting a carbon stem since I had already added carbon wheels, handlebars, and fork. I had a relatively high-end Ritchey stem and thought that was good enough. Once I made the change I realized how wrong I was - the ride became significantly smoother without the vibration I had become accustomed to. This is without question the best upgrade I have made to my 5 year old titanium Litespeed. Worth the expense!